View the entire XTPR Line here. 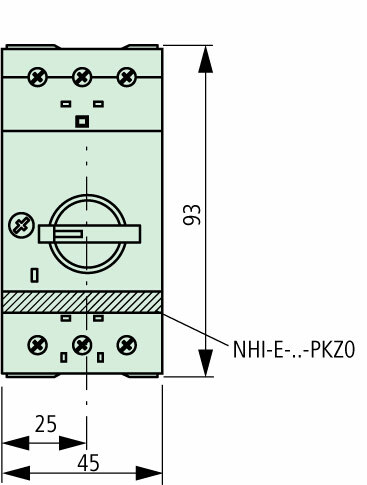 Qty 1 - XTPRP16BC1NL (Manual Motor Protector) as indicated by the green coloring and red arrow. 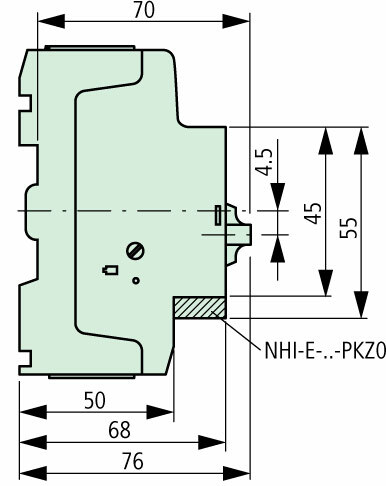 XTPRP16BC1NL motor protectors are UL listed and CSA certified for group applications as per the intent of NEC 430-53 and CEC part 1, rule 28-206. This eliminates the need for individual motor branch circuit overcurrent protective devices for each motor, thus greatly reducing the cost and space requirements of industrial control panels and assemblies. 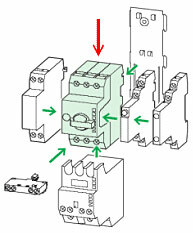 In group installations involving a number of XTPRP16BC1NL motor protectors, the maximum rating of the group branch circuit overcurrent protective device is based on the lowest backup overcurrent rating marked on each motor in the group, combined with applicable NEC-CEC installation rules.